The Anne Frank Center USA and ING Financial Services LLC have announced a new $5,000 college scholarship, the ING Scholarship Award, as part of the Center’s annual Spirit of Anne Frank Awards. We are pleased to join with The Anne Frank Center USA in recognizing worthy students who demonstrate academic excellence and a commitment to public service. The Anne Frank Center USA and ING Financial Services LLC have announced a new $5,000 college scholarship, the ING Scholarship Award, as part of the Center’s annual Spirit of Anne Frank Awards. ING Financial Services has made a five-year commitment to underwrite the new ING Scholarship Award annually beginning 2014. The ING Scholarship Award is one of five Spirit of Anne Frank Awards that The Anne Frank Center USA distributes each year. The Spirit of Anne Frank Awards honor Anne Frank’s effort to improve the world with awards to citizens and educators and scholarships to students who have demonstrated outstanding commitments to take a stand against discrimination. The scholarships are awarded to college-bound students who are strong community leaders with high academic achievement and who exemplify the determination, ideals and courage to fight for tolerance that Anne Frank represents today. 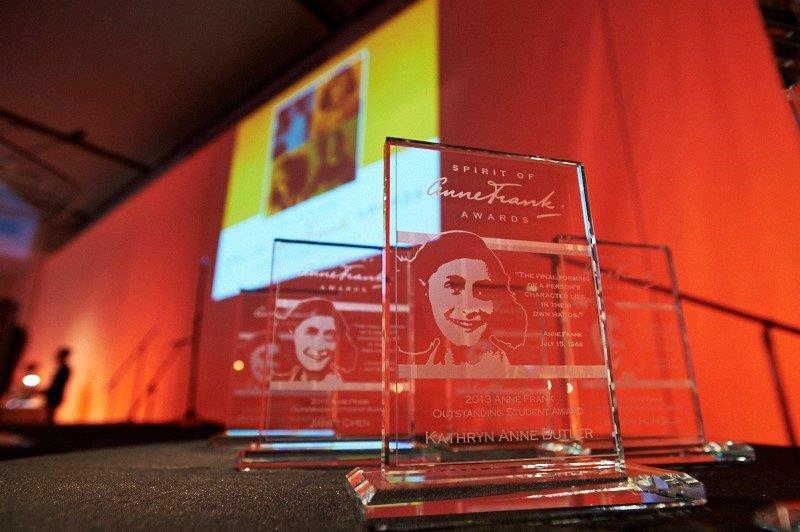 Applications for the Spirit of Anne Frank Awards are currently being accepted and must be postmarked by February 28, 2014. The application requirements are available at The Anne Frank Center website. The winners will be announced on the website on March 28, 2014, and awards will be presented at the Spirit of Anne Frank Awards dinner in New York on June 12, 2014. The Anne Frank Center USA, a partner of the Anne Frank House, teaches students and communities across the U.S. about the consequences of intolerance. In 2013, the Center’s exhibits and education programs reached 126,787 people. ING is a global financial institution of Dutch origin, offering banking, investments, life insurance and retirement services to meet the needs of a broad customer base. Going forward, we will concentrate on our position as an international retail, direct and commercial bank, while creating an optimal base for an independent future for our insurance and investment management operations.